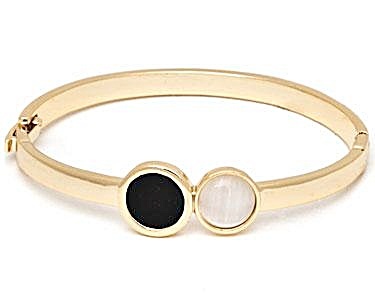 Beautifully modern, this bracelet features unique black and white crystals that will charm you with their spark. This bracelet also features comfortable clip in clasp. Set in 18k gold plated brass. Guaranteed to retain its original gold content and color. Made in Brazil.